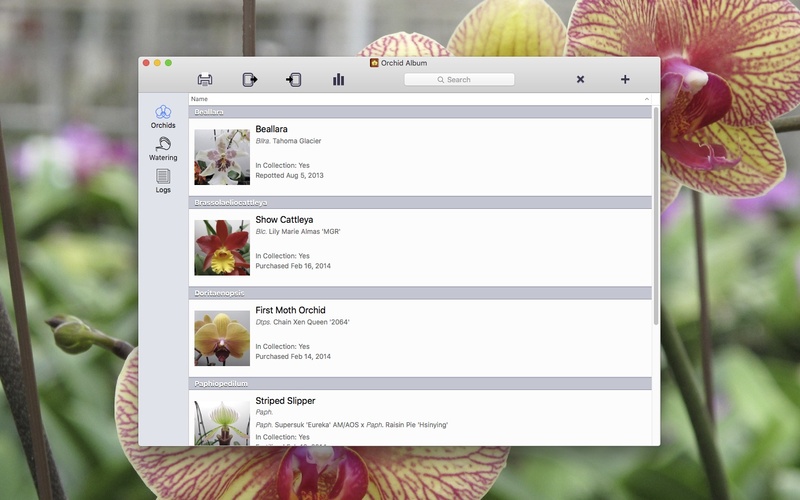 Track your orchid collection on your Mac – Now Available! Today I’m very pleased to announce the release of my new Mac app, Orchid Album. If you’re an orchid collector and are looking for a tool to make keeping track of your plants easier, you’ve found it! 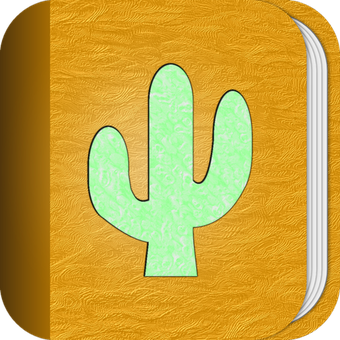 The Mac version is similar to the PC version and has many of the same features as the iOS version, with the addition of printing, enhanced search capabilities, and data transfer to and from the iOS version over WiFi. I’ve also included some other features like duplicating orchid entries, right-click context menus, and a host of other tweaks and improvements. Orchid Album for Mac also has a built-in crash-reporting mechanism and software update notifications. 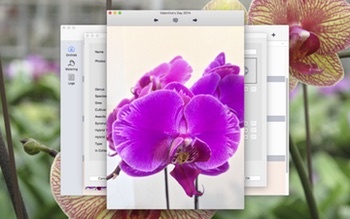 To run Orchid Album on your Mac, you’ll need either Lion (OS X 10.7.x), Mountain Lion (OS X 10.8.x), Mavericks (OS X 10.9.x), Yosemite (OS X 10.10.x), or El Capitan (OS X 10.11.x). The download version initially runs in an unregistered trial mode, limited to 3 orchids, 3 watering schedules, and 3 logs, with 3 photos each. It will also only allow a single database to be open at a time, and database import is disabled. The full feature-set can be unlocked via purchase, either within the app or via my Web Store. You can learn more about all the features of Orchid Album here, check out the Frequently Asked Questions page, or like Orchid Album on Facebook. The following should address any questions or concerns you may have about Orchid Album for Mac. I’ll be updating this post as new questions arise. Let me know if I’ve missed anything! 1. When will Orchid Album be available for Macs? 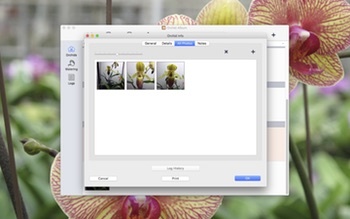 Orchid Album for Mac is now available for download from my website here and from the Mac App Store. You can learn more about Orchid Album for Mac here. 2. What Mac OS X operating system do I need to be able to run Orchid Album for Mac? 3. I already have Orchid Album on my iPhone, iPad, or iPod touch. Do I have to buy it again for the Mac? Yes, if you would like to run Orchid Album on your Mac, you’ll need to purchase it direct from my site, or from the Mac App Store. 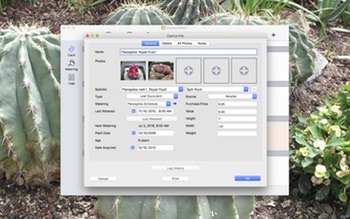 The Mac version includes some additional features over and above the iOS version, including photo organization, enhanced search, and printing capabilities. 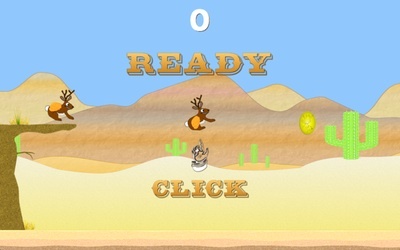 The app had to be substantially re-designed and completely re-written for the Mac platform. Unfortunately porting the app to the Mac wasn’t as simple as you might think! 4. I’m not sure if Orchid Album for Mac will suit my needs. Is there a free trial version available? 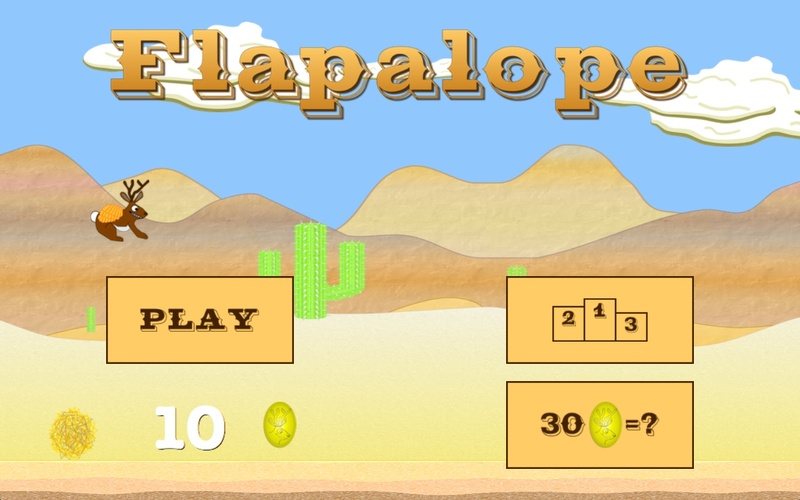 Yes, it’s available for download from my website here. The app is initially in an unregistered trial mode, limited to 3 orchids, 3 watering schedules, and 3 logs, with 3 photos each. It will also only allow a single database open at a time, and database import is disabled. That should be enough to give you some idea of whether the app will work for you. Purchasing a license either within the app or via my website unlocks full functionality. 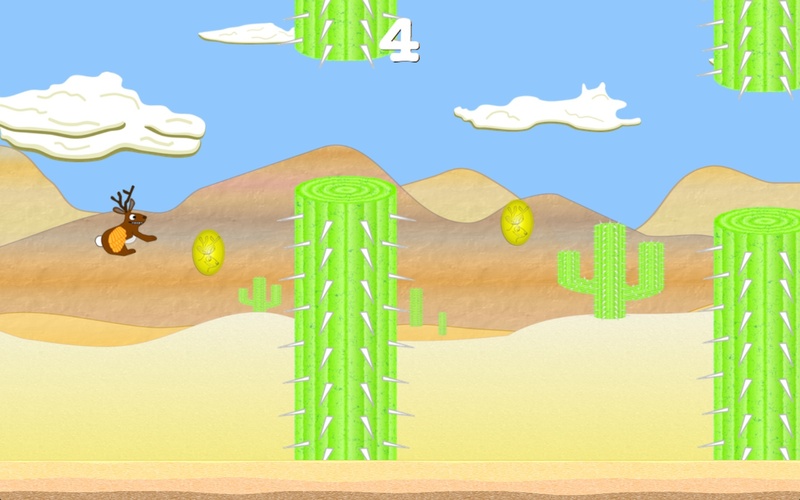 You may also purchase via the Mac App Store. 5. Will Orchid Album for Mac be localized into my language soon? Possibly. Orchid Album is currently localized into English, French, Italian, German, Spanish, and Portuguese. 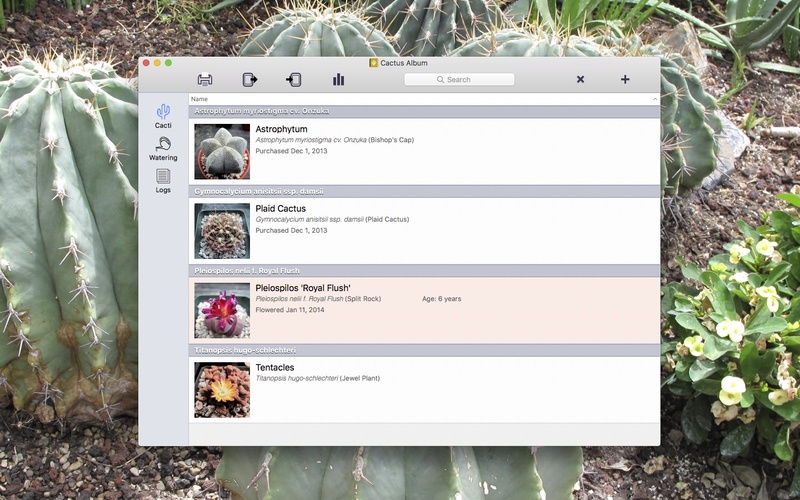 Click the Preferences… line on the Orchid Album menu and select the “Sort orchids by genus” checkbox under Sort Options. Close the window and you’ll find all orchids are now sorted by genus. Repeat these steps to sort by name again. 8. How do I re-order the photos on the Orchid Info or Log Info windows? After the entry has been saved, double-click on it and then click on the All Photos tab. This will show all the photos associated with the Orchid or Log. Click and hold the mouse button on the photo you’d like to organize on the Info window, and move the mouse to where you’d like the photo to be moved. Release the mouse button when you’re done. 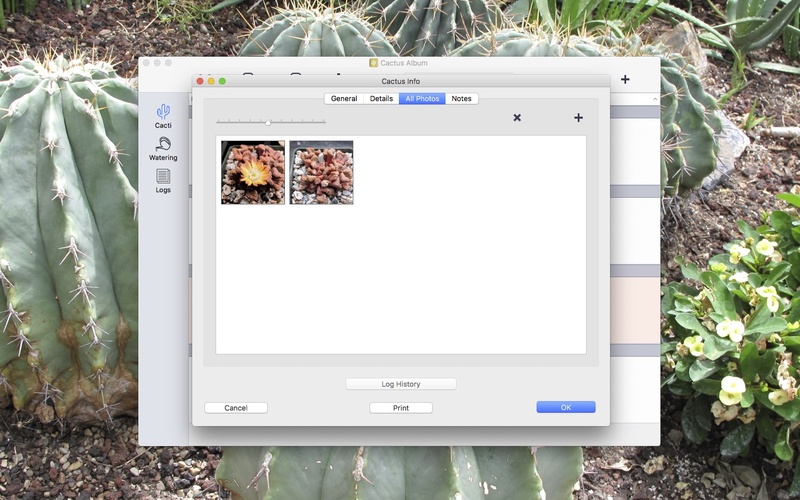 To move a photo into one of the primary photo slots on the Orchid Info or Log Info windows, arrange the photos in the All Photos section. The primary photo slots will now reflect the new order. Double-click on the photo you’d like to add a caption to in the All Photos tab of the Orchid Info or Log Info window. Click the word balloon icon at the top of the window, then in the text box that appears, type in the text caption you’d like to associate with that photo. Click on the photo to end editing the caption. The new or modified text caption will now be displayed. Note that only the first few lines of the caption will be superimposed over the photo. To hide the caption, click once on the photo. You can scroll between the photos by clicking the left and right arrow buttons, and zoom-in by resizing the photo window. The place for capturing these events is on the Log Info window. Create a new Log entry, click the Event field and type in the new Event (Sold, for instance). The new Event will be saved when you click the OK or Save button. It will then be available for use with this and other log entries. In the Orchid field, select the corresponding orchid. Set the Type field to Orchid. Set the date the Event occurred, and add any relevant photos or notes. 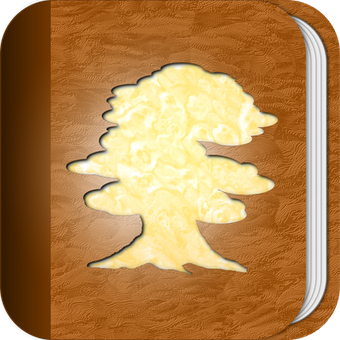 Click Save, and the new dated Log entry will appear in the list. Now when you tap the Log History button on the Orchid Info window, you’ll see the complete history of the orchid. 11. I have an Orchid Album database on my iPhone, iPad, or iPod touch. How do I transfer it to Orchid Album for Mac? 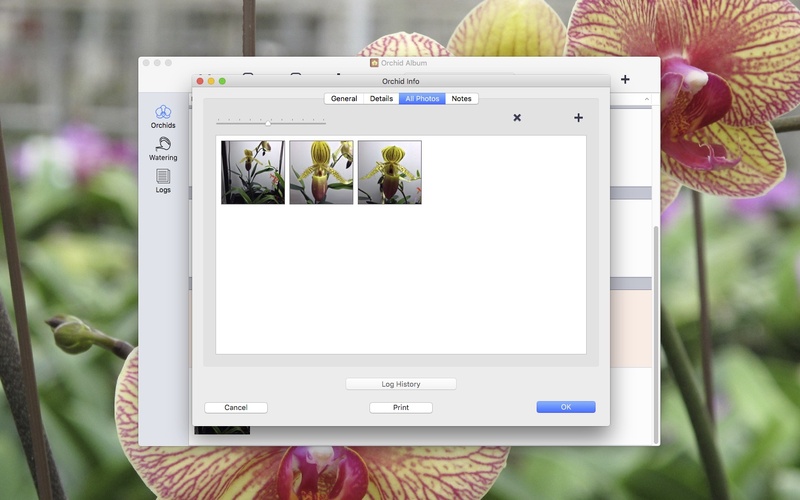 (2) Create a new database within Orchid Album for Mac and save it to your Documents folder. (3) Click the Import Database button in the document window toolbar within Orchid Album for Mac. This is the button next to the printer button. The button has an arrow pointing to the right, away from the device icon. You can also select the Import from -> Orchid Album Mobile App item in the File menu. (4) The Import Database window will appear. You should see your device shown in the Devices section. If it isn’t there, double-check that you’ve selected Backup Database (or Export Database) on the Tools screen within Orchid Album on your device. 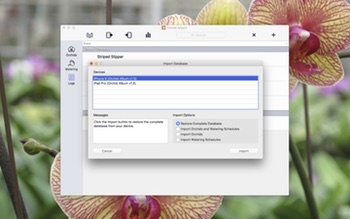 Check the Messages box in Orchid Album for Mac for helpful information. (5) Select the device you want to import from, then select Restore Complete Database in the Import Options section. You may also choose to Import Orchids and Watering Schedules, Import Orchids, or Import Watering Schedules. (8) The database in Orchid Album for Mac should now match the database on your device. 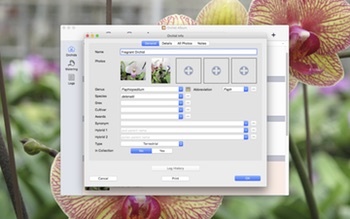 Note that the above steps will completely replace the contents of the Orchid Album database within Orchid Album for Mac, unless you’ve chosen not to restore the complete database. In that case, you may see duplicate entries in your database after the import is complete. 12. I have an Orchid Album database in Orchid Album for Mac I’d like to transfer to Orchid Album on my iPhone, iPad, or iPod touch. How do I accomplish this? 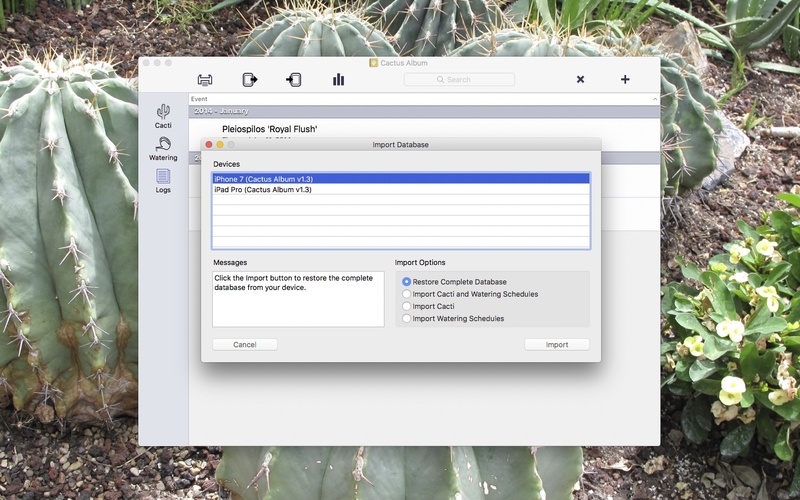 The steps are similar to question 11 above, except you must select either Restore Database or Import Database on your device, and click the Export Database button in the document window toolbar within Orchid Album for Mac. This is the toolbar button with the arrow pointing toward the device icon. When the export is complete, you should consult the pop-up alert on your device for further instructions. Orchid Album currently doesn’t have a simple means of keeping databases synchronized on separate devices. However, it is still possible to transfer the database between devices manually. You first need to backup the database from the device with the most current copy to your computer (or from your computer to the device). The steps for achieving this are shown above in questions 11 and 12. A good workflow is to use your Mac as a hub for the database, updating that after you’ve made changes on your device. 14. I have the Orchid Album trial version and just bought the full version. How do I transfer my data from the trial version? Provided your spreadsheet program can export to CSV format and allows you to specify comma separators and dates in a particular format, you should be able to import it into the app. Orchid Album expects to receive CSV data according to the CSV template file, available in the Downloads section of this site. The ‘X’ icon (next to the ‘+’ icon in the toolbar) is used to delete a particular orchid, watering schedule, or log. It has no effect until you select an item from the list. Clicking on one of the rows in the table will select that row and highlight it. 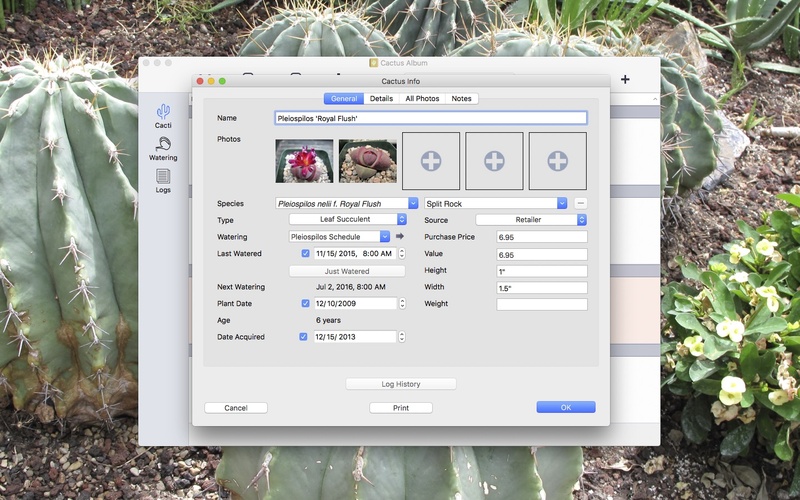 To delete the highlighted orchid, watering schedule, or log, click the X icon in the toolbar. Alternatively you may select Remove Item from the Edit menu. Note that an alert popup will appear asking if you still wish to delete the orchid. There is no such alert for watering schedules or logs. The watering schedule entry will be highlighted on the main list when the Next Watering date arrives. Any corresponding orchid entries on the main list will also be highlighted on the same date. 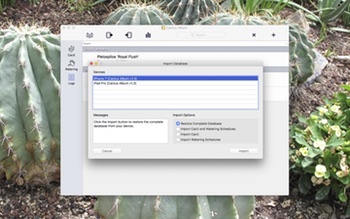 Select the Watering field dropdown menu for individual plants to associate them with a certain watering schedule. If you have a lot of plants, a quicker way is to open the Watering schedule, then click the Orchids To Water tab. To add or remove plants from a certain Watering schedule, click the + button in the top right-hand corner. You can then select which plants to add to the schedule by clicking on them in the list. 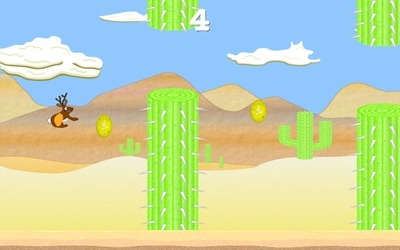 A blue watering-can icon will appear next to the plants you’ve selected. 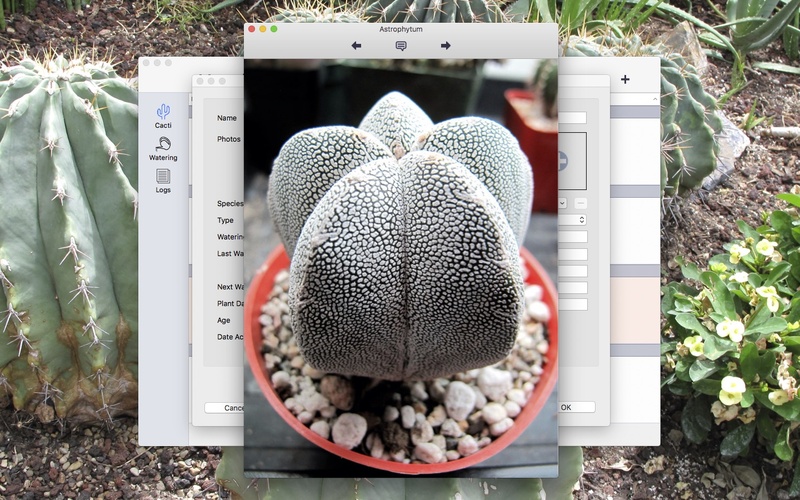 To remove a plant from the schedule, return to this window, click the plant and the watering-can icon will disappear. 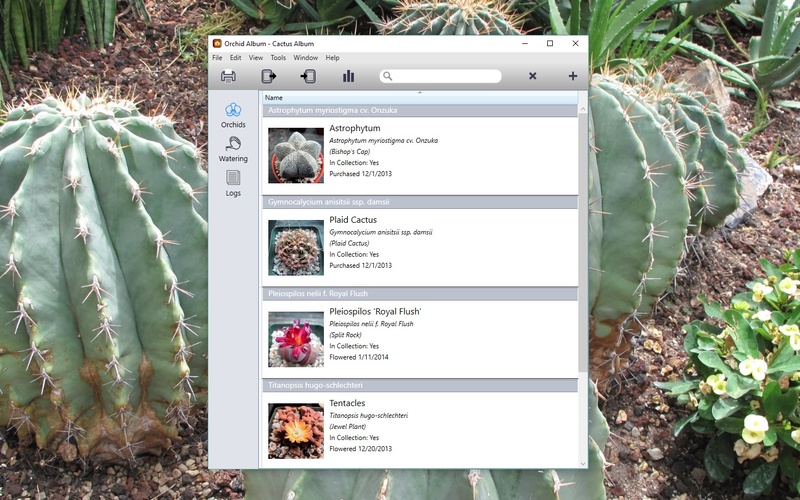 Alternatively, select the plant(s) on the Orchids to Water tab and click the – button. 20. How do I use the orchid report feature? How do I view the orchid report? The orchid report shows a summary of your collection, followed by the data and photos for every orchid, watering schedule, and log entry in your collection. 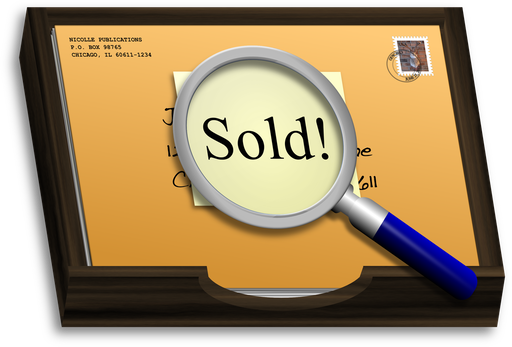 This report can be useful for inventory or insurance purposes, and may be printed from within your web browser. To view the report, locate the Report Folder you specified in (1) and double-click on the Report File you specified in (2). Your web browser will load the orchid report. A warning may appear asking if you are sure you want to open the file. 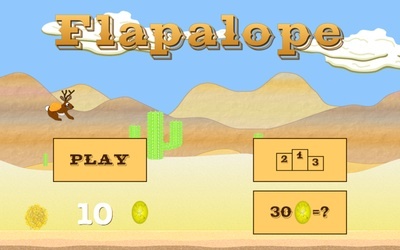 Since you have generated the file yourself using the app, click the Open button. Your web browser will then load the orchid report. If you ever want to relocate the orchid report, be sure to move the similarly-named folder with the _photos suffix. This will ensure the report file will still know where to find the photos. You can reach me via email (OrchidAlbum@andrewnicolle.com), on the Orchid Album Facebook page, or on Twitter (I’m @andrewnicolle). I can usually respond to queries within 24 hours. If you like Orchid Album for Mac, please spread the word. Thanks! 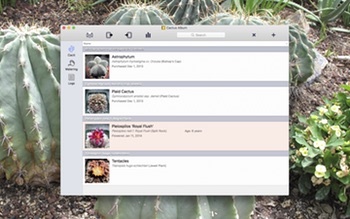 The Bonsai Album for Mac v1.2 update is now available on the Mac App Store.